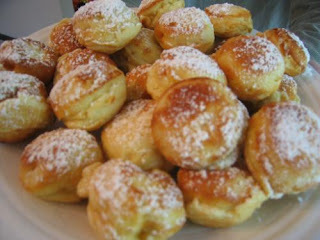 eatmywords: Budget Finds: Aebelskiver Pan! Ever since seeing this ridiculously cool video on the Williams Sonoma website about aebleskivers, I've been dying to make my own. And though the WS pan isn't tremendously expensive, I seriously question how quickly the novelty of aebleskivers would expire. 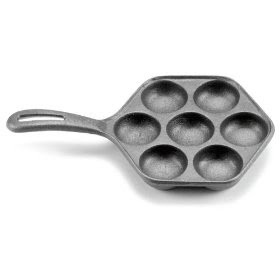 That's why I was really excited to find an aebleskiver pan for under $10!